Thanks for the comments on my shot of the vintage Corvette. Much appreciated. We are taking Buckwheat in to have a growth removed from his chest this morning. It would normally be a pretty straightforward procedure, but, as he is nearly eleven and has a slight heart murmur, it is a bit more serious and I'm concerned. He is my sweetie pie and I'd be devastated in anything happened to him. Fine sharp detail, not easy to get against such a busy bckr !! I love the fan of those wings. Wonderful timing to capture this pose! This is perfect Maryann. 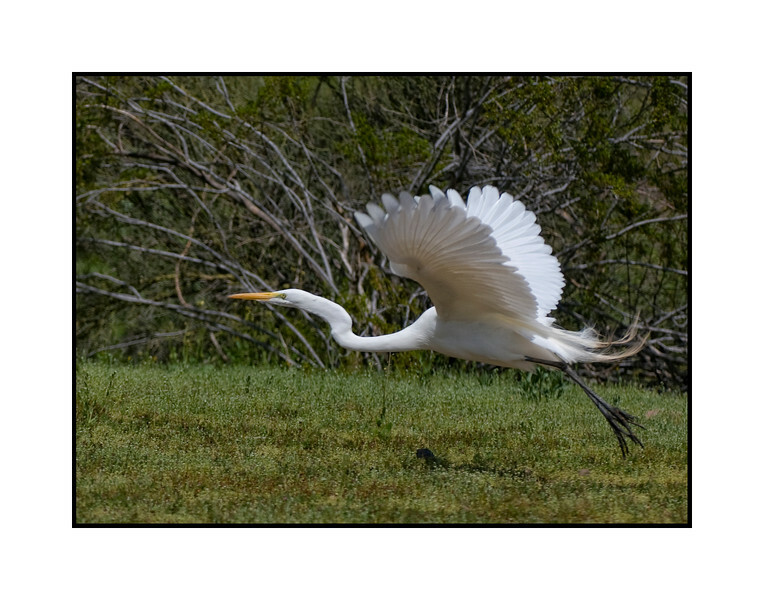 I like the way you have the egret flying into the frame and you captured it just as it's feet left the ground. So well done!